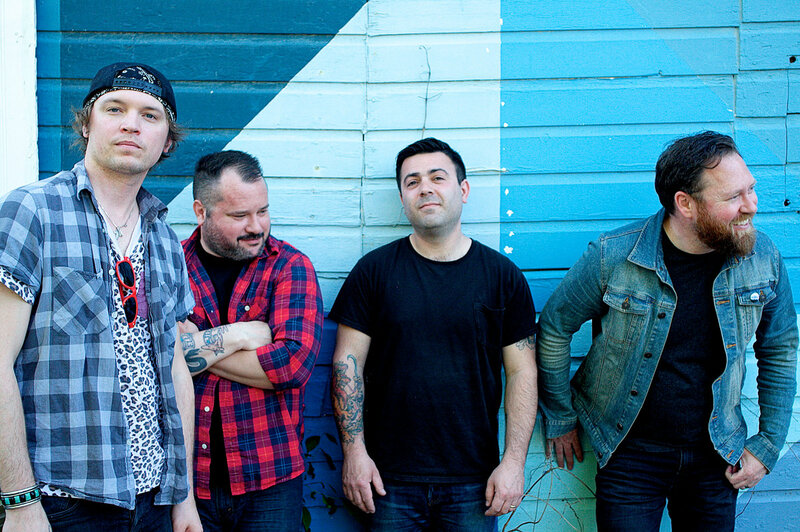 Tony’s known me long enough to know that I am a massive fan of The Get Up Kids, so I wasn’t at all surprised when he asked me to review Radar State’s new record – Strays. Radar State are the latest side project from emo legends The Get Up Kids, with Jim Suptic on guitar and vocals, and Matt Pryor on bass and vocals. Rounding off the line-up is Josh Berwanger of The Anniversary on guitar and vocals, and Adam Phillips of The Architects on drums. To me, this record sounds like a more upbeat and punk version of The Get Up Kids, but with some noticable influence from older bands such as The Replacements and The Clash (for instance, their track Artificial Love has a very “Train In Vain” vibe to it). As you’d expect, the song-writing partnership of Pryor and Suptic is as strong as ever, especially on title track “Strays” and “Making Me Feel”. To be honest, some of these songs wouldn’t have looked out of place on a Get Up Kids record, and that is in no way a bad thing. I really enjoyed this record, and I’m definitely excited to hear more from this band. You can pick this up in the UK from Disconnect Disconnect Records or Wiretap Records in the US.